Over to you Liverpool. Manchester City were able to make the first statement on what could be a significant day for the title race as they defeated Crystal Palace 3-1 in Sunday's early kick-off. Their performance wasn't outstanding but it didn't have to be against a Palace side who sat deep until the final 20 minutes. Raheem Sterling scored twice before Luka Milivojevic's free-kick set up what could have been a nervy finish. However, Gabriel Jesus found the net late on to seal all three points. Today's game could have been a stumbling block for City. Last season at Selhurst Park they were moments away from losing their unbeaten record on New Year's Eve, only for Milivojevic to be denied from the spot. Their performance against the same opposition at the Etihad in December, losing 3-2 would also have been a cause for concern. And after 11 minutes of this encounter, it may have looked like it wouldn't be their day again. David Silva was the man who carved open the first opportunity, weaving his way to the byline before pulling the ball back for Sterling. Yet, with the goal at his mercy, the in form winger scuffed wide a simple opportunity. However, presented with another chance, Sterling wasn't going to miss again. Kevin de Bruyne played a lovely ball in behind for the England international who then found the back of the net in assuring fashion with 15 minutes gone. Palace had spent the opening exchanges sitting extremely deep and their unwillingness to press City was alarming. But, their response to conceding wasn't downhearted and had it not been for Ilkay Gundogan, they surely would have equalised. Christian Benteke's knockdown was a clever one following a ball into the box, but as Cheikhou Kouyate looked to have an easy finish, the German midfielder made a fantastic interception to deny him. Last season's game here finished 0-0 but probably produced more entertainment than this one as City didn't have to get out of second gear. Sterling found himself on the scoresheet again soon after the hour mark. Leroy Sane fizzed a ball to the back post where the wide man was able to steer the ball home for his second of the afternoon. Pep Guardiola then had the luxury of withdrawing Silva for his namesake Bernardo with their Champions League second leg with Spurs in mind. Palace had struggled to create opportunities but it was one of their favourite route to goals this season, a set play, that got them back into proceedings with eight minutes left. Milivojevic lined up a free kick from just outside the box and found the bottom corner with a lovely clipped shot. The Eagles looked to put pressure on the visitors going into the final few minutes but City were able to wrap things up in clinical fashion. Jesus pounced on a mistake inside the area to cooly fire the ball home for a third in injury time. With Liverpool to play Chelsea later on, City's win moved them top of the table and a point above their title rivals. This was just the Belgian's tenth start in the Premier League this term, something that is indicative of the creative midfielder's injury struggles in 2018/19. But he set the tone throughout alongside Gundogan in midfield. 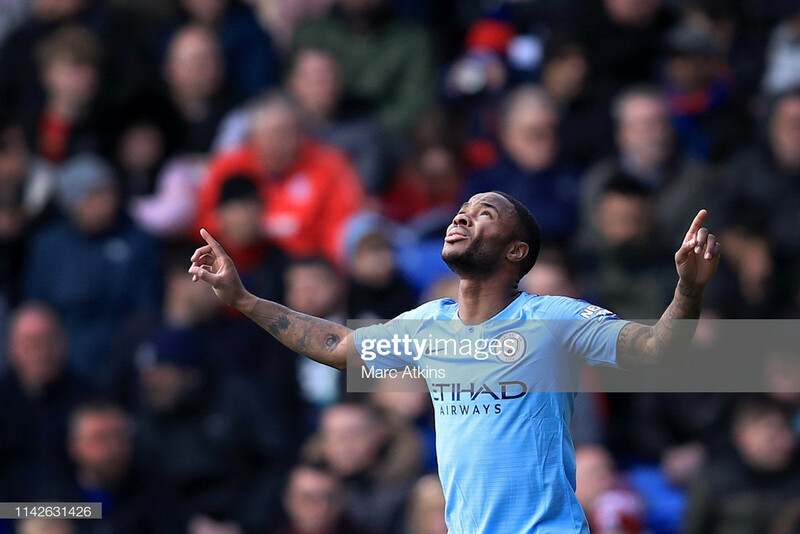 His assist for Sterling's opener was his first in the league for 336 days when he last supplied a goal on the final day of last season against Southampton. If anyone needed any further reminder, Sterling is simply world class and is easily one of the best in the division. Both of his goals were taken with supreme confidence as he took his tally in City colours for the season to 21 in 43 games. 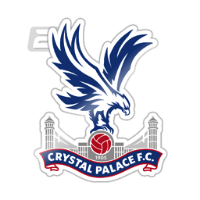 Rather surprisingly, Benteke was preferred to Michy Batshuayi as the lone striker in Roy Hodgson's system on Saturday afternoon. However, he was devoid of much service. This may have been his final chance to impress. After all, he's still yet to find the net this campaign. Is Zaha one of the best players outside the top six? It's still a topic which is very much up for debate after this afternoon. Palace knew his performance would have a significant barring over whether they could get anything from the game but over on their left-hand side Kyle Walker was able to nullify him excellently.